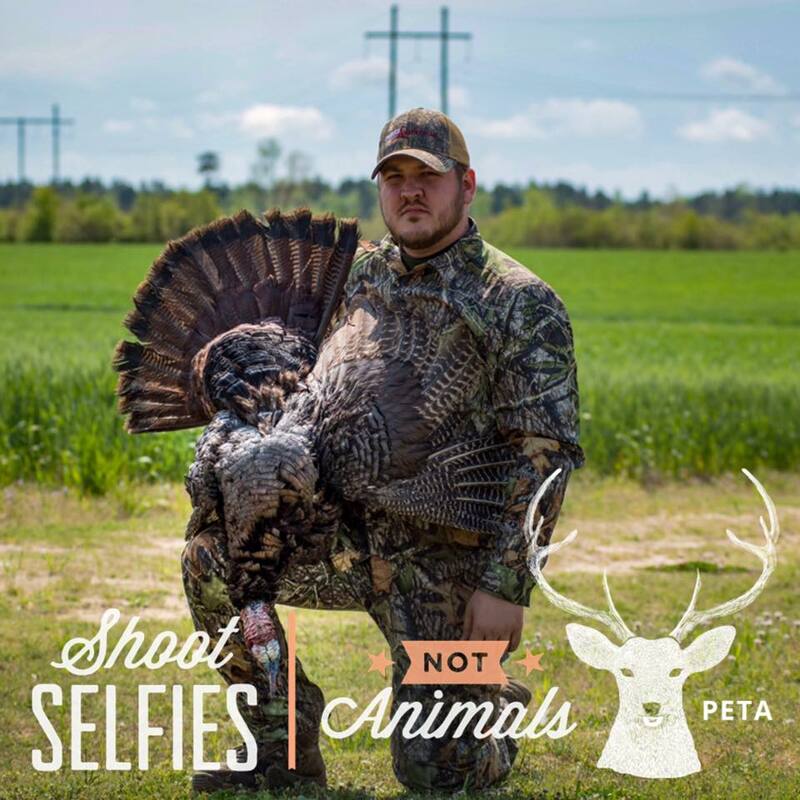 PETA recently introduced an anti-hunting Facebook filter allowing users to update their profile pic with a custom filter to promote their "Shoot Selfies, Not Animals" campaign. Hunters across this country and around the world decided they could do both. 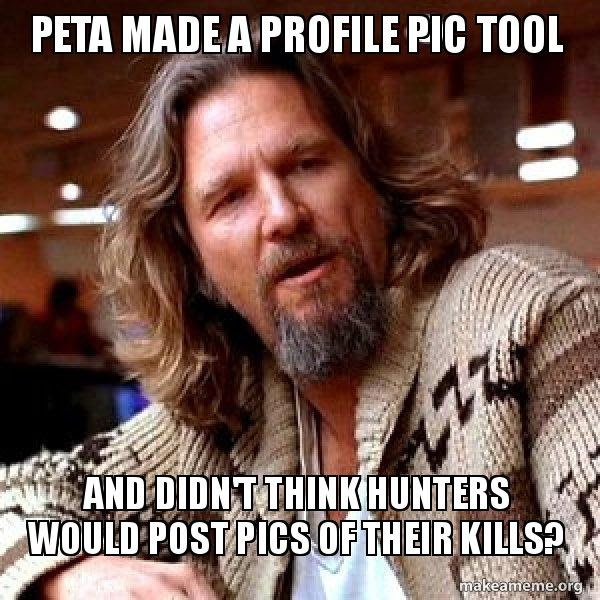 Is this a hilarious trolling of PETA which is known to euthanize animals on a regular basis by hunters who kill animals for both sustenance and herd control? Is it something else? Time will tell, but for now we are keeping our senses of humor intact and waiting to see what happens next. I didn't have to look any further than my personal network to find the following examples of this trend. 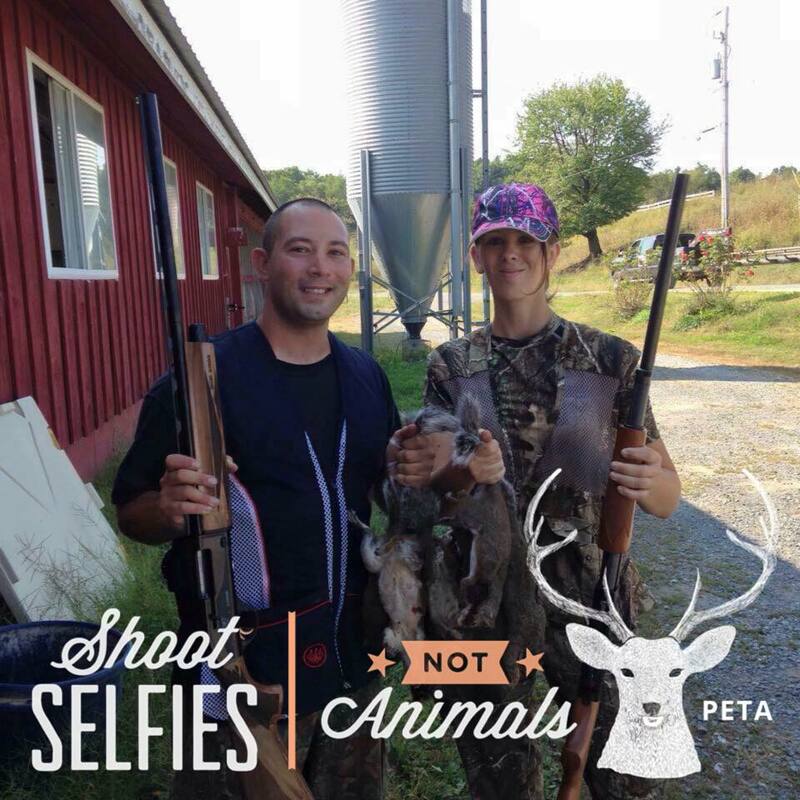 "The ENTIRE community of hunters grabbed ahold of this it seemed as a stand against PETA. Just in my circle of friends alone, I can't tell you how many death threats we receive, people saying they will kill our dogs, call women names that they should never even hear, and some people even go as far as to wish our unborn children are still born. It's pretty disgusting and horrific. It was great to see everyone come together on this. Of course it's funny, but to me it represented much more than just a good laugh. This was us standing up, saying were sick of being labeled and threatened by these people. Lately it seems like we as outdoorsmen and women spend most of our time arguing about who's the better hunter, fisherman, who's bucks are bigger, etc. It was nice to unite on this, because at the end of the day, we all share the same common lifestyle, understanding of conservation, and a deep respect for wildlife, nature, clean food, family, god, and the great outdoors. We really are like one big family." Robert C. at Deer Pond Hunting Club in Estill, SC. 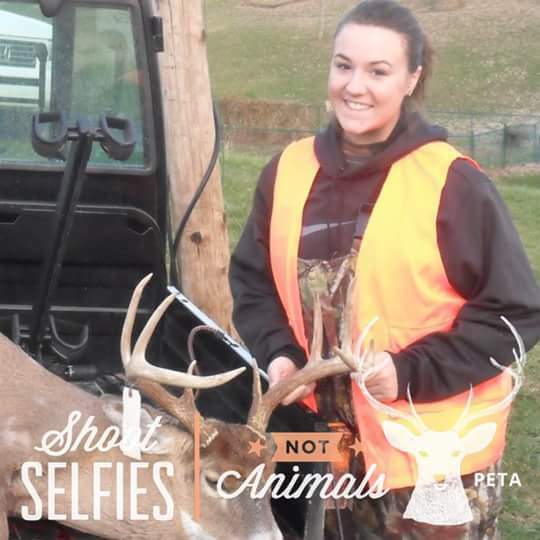 Lacey Mathews, a southwest PA girl, grew up hunting and shooting with her dad. "My passion for shoothing and hunting is all thanks to my dad, Herschel. Every chance we had we were in the woods, he taught me that hunting is a way of life and it is how we supported our families." Jon Gibbon is an entrepreneur and founder of Armslist.com. He is also a graduate of the University of Pittsburgh and the University of Oklahoma College of Law. In addition to his firearms habit, he is also an amateur racing driver. 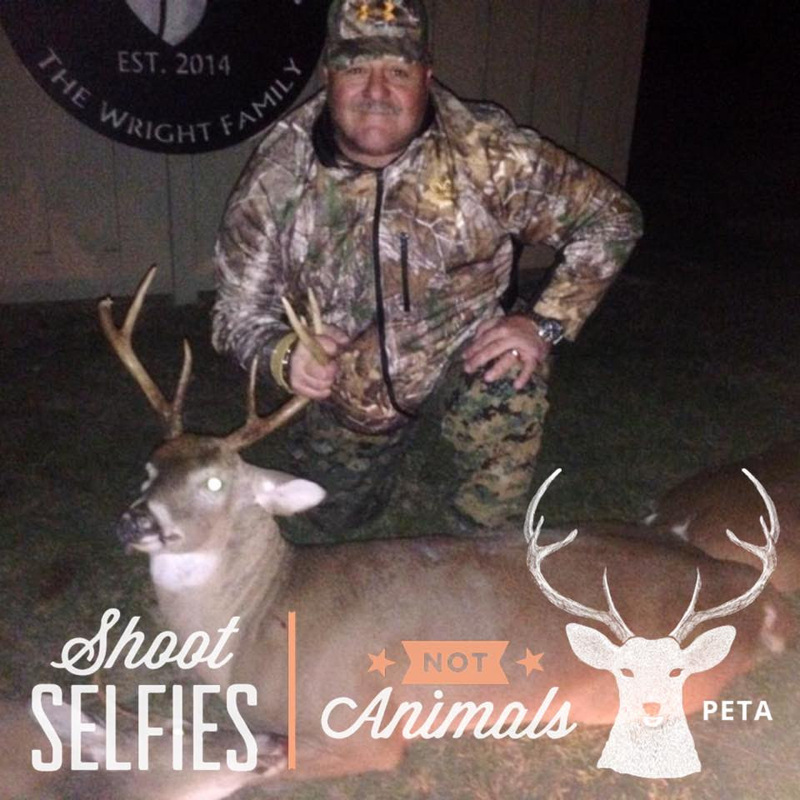 I never met a hunter who isn't in favor of the "ethical treatment of animals." 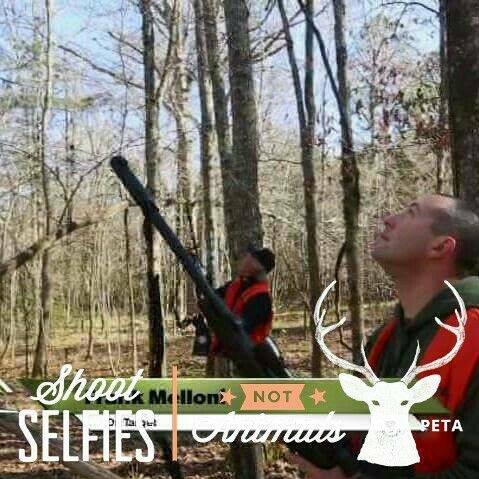 In reality, hunters are the REAL PETA! Hahaha. A much more agreeable headline and article. Excellent! People Eating Tasty Animals. There is nothing better than freshly harvested game, as it is low in fat and high in protein. Thank you for these wonderful photos!